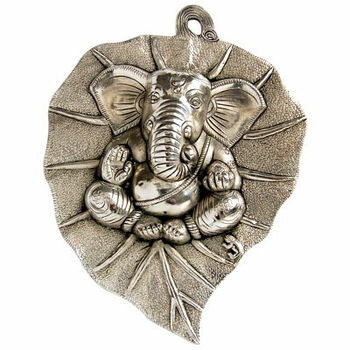 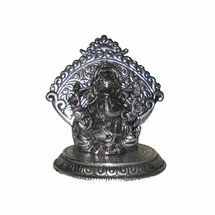 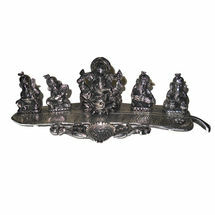 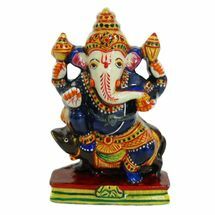 This amazing lord Ganesha idol comes carved in a striking setting of a leaf design. 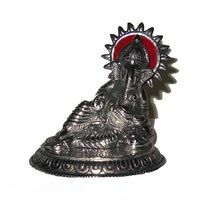 A wonderful piece to gift to your loved ones, you can even hang it up on your wall and grace your room with the divine presence. 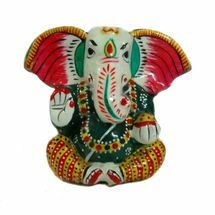 Use it as a decorative item or a worship idol, either ways; it will bring peace and positivity to the surroundings. 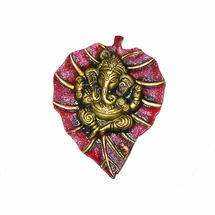 This amazing lord Ganesha idol comes carved in a striking setting of a leaf design. 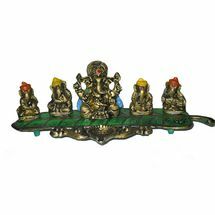 A wonderful piece to gift to your loved ones, you can even hang it up on your wall and grace your room with the divine presence. 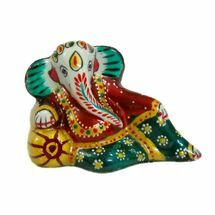 Use it as a decorative item or a worship idol, either ways; it will bring peace and positivity to the surroundings.